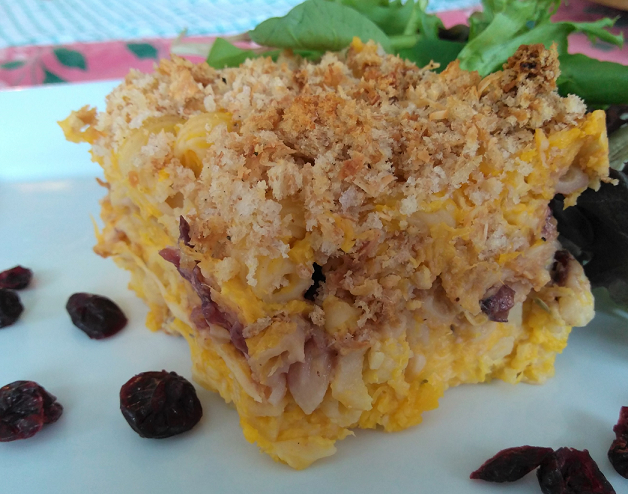 Butternut Cranberry Pasta Bake is meatless option for your next holiday meal that you can prepare up to two days in advance. It makes 12 servings, so will feed a small crowd. Butternut is always my first choice for squash because it doesn’t have many seeds, has a beautiful deep orange color and a beautiful sweetness that works for baking and savory dishes. Gruyere and a layer of cranberry sauce cut the sweetness, and the pasta turns this from a side dish into a main. You’ll need 4 cups of cooked, mash squash for this pasta bake. If you have a slow cooker, you can cook a squash easily by just piercing it once or twice then slow cooking on low for 3-4 hours. Let it cool, then cut in half, scoop out the seeds, and scrape the squash from the skin. Freeze or refrigerate any leftover squash. 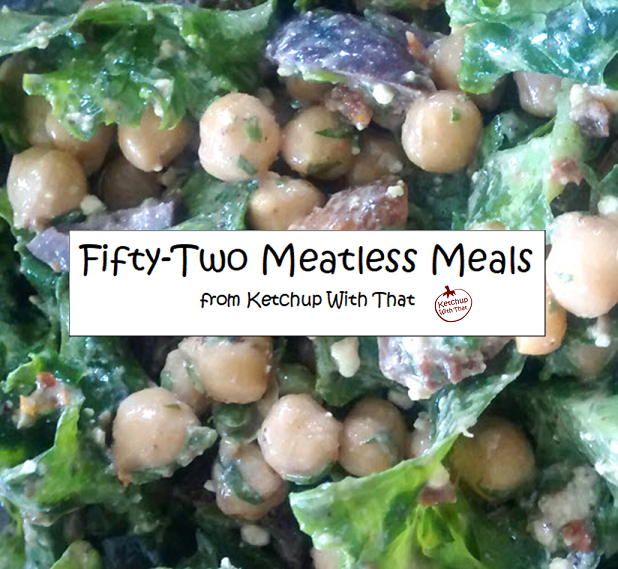 This dish is easy and can be prepared in advance, so it makes a great meatless option for a holiday meal. Cook pasta in a large pot of boiling salted water until tender. Drain and rinse with cold water to cool. In large mixing bowl, stir together cooked squash, dried onion, thyme, salt, pepper and Gruyere cheese. Add cooked pasta and mix. Stir in whipping cream. Lightly grease a large casserole dish. Spread half the pasta mixture into the dish. Spread cranberry sauce over, and top with remaining pasta. For topping: In small bowl, mix breadcrumbs, mustard, olive oil and grated cheese. Top pasta with the crumb mixture. Dish can be refrigerated for up to two days, or baked immediately. Bake in a 350 degree F / 176 degree C oven for 45-50 minutes until lightly browned. Add 15 minutes to baking time if the dish has been refrigerated before cooking. You can cook a whole squash in your slow cooker. Pierce the squash in one or two spots, then place directly in the slow cooker. Cover and cook on low for 3-4 (depending on your slow cooker). Let the squash cool. Cut in half and scoop out seeds, then peel or scrape the squash from the skin.